PIERCE, Franklin (1804-1869). 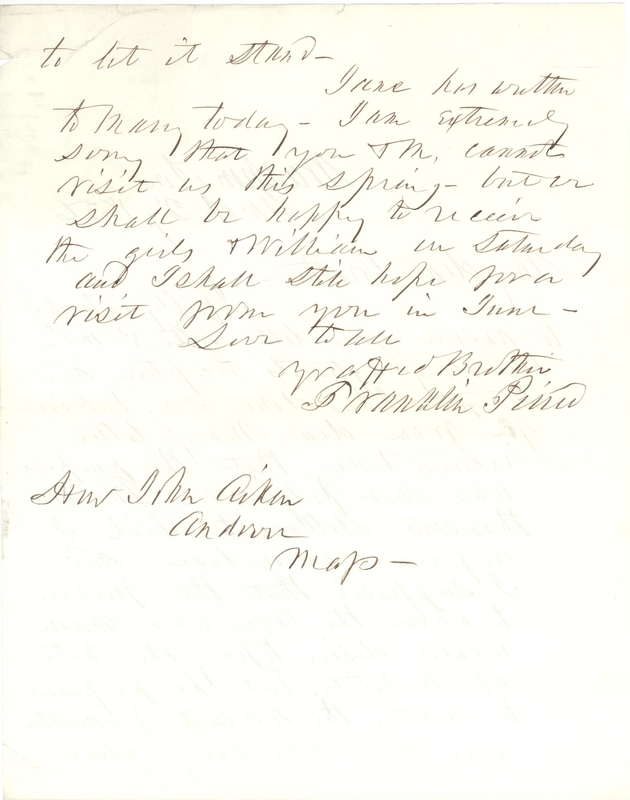 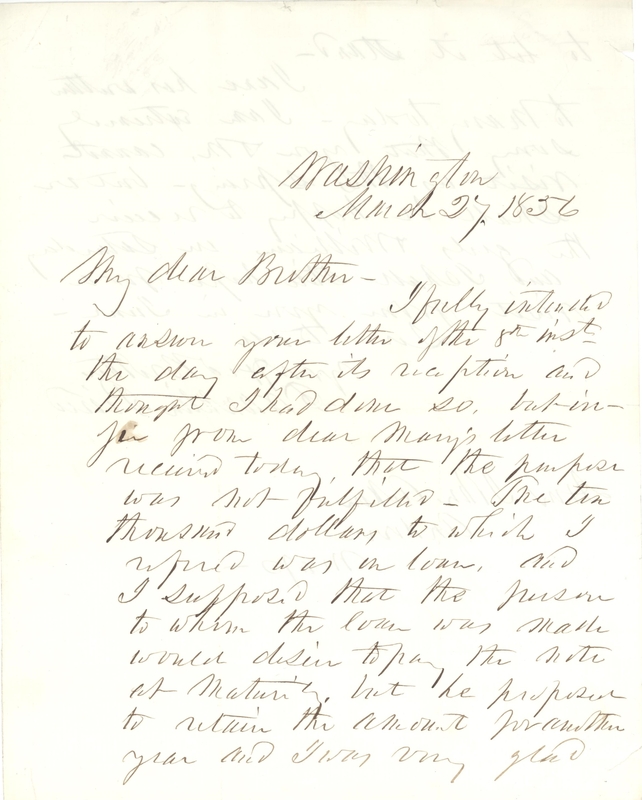 Autograph letter signed ("Franklin Pierce"), as President, to Hon. 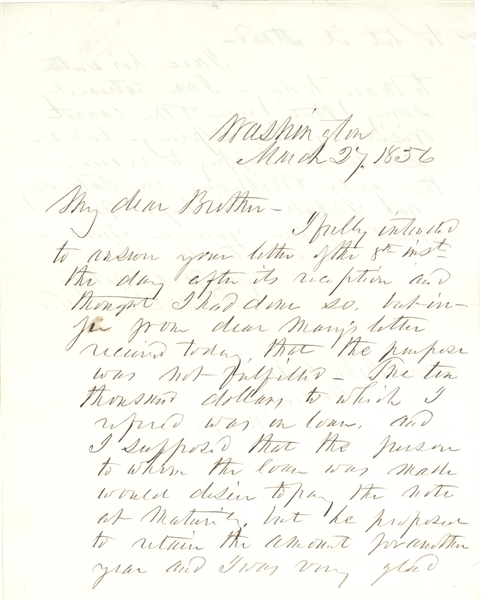 John Aiken. Andover, MA, 27 March 1856. 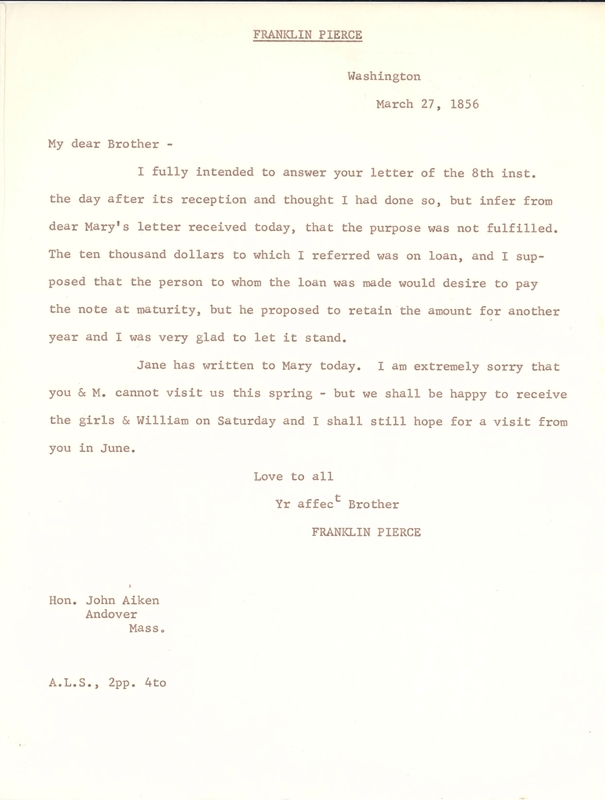 2 pages, 8vo, on blind embossed Platner & Porter Congress stationery, creased, Pierce writes his wife's sister's husband about a $10,000 loan, and sending regrets that the recipient won't be able to visit in the spring.In fine condition.